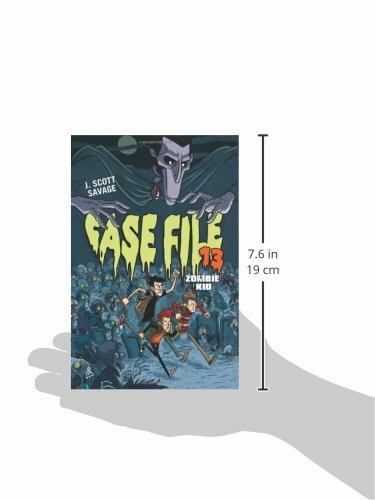 For readers who like thrills with their laughs, Case File 13 is a satisfying new series that blends irreverent humor, page-turning adventure, a mysterious narrator, and the kind of authentic characters that will leave young readers convinced this story is about their own best friends. 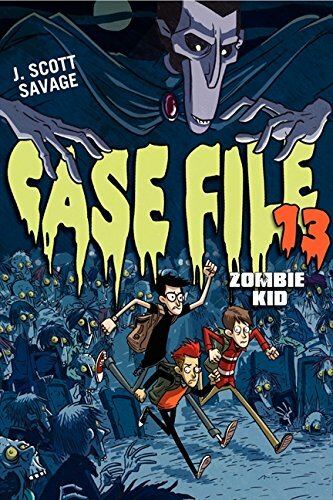 Case File 13: Zombie Kid follows three monster-obsessed friends who must solve fiendishly funny mysteries in their creepy hometown. Nick, Carter, and Angelo are obsessed with all things monster. And every Halloween they get to show off their monster-knowledge with elaborate homemade costumes. But this year, a surprise trip to the house of an aunt who may have been a voodoo queen throws a major wrench into the boys’ Halloween plans and lands Nick with a cursed amulet that turns him into a real, live (well, undead) zombie. To Nick and his friends, this is . . . awesome! At first. Then the whole zombie thing starts to get a little out of hand (literally), and the boys have to go on a chilling adventure to reverse the curse. 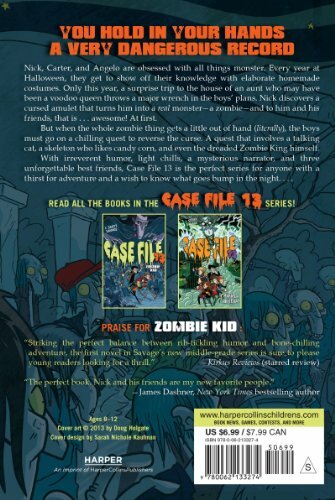 One that involves a talking cat, a skeleton who likes candy corn, and even the dreaded Zombie King himself.